At around $30 the Redragon K552 is a huge value. It’s a great option if you’re on a limited budget and are looking for blue switches, it’s surprisingly well built for the price. You actually get a lot of keyboard for a low price; solid construction, RGB options, good blue switches, small TKL footprint, and even claimed splash proof. 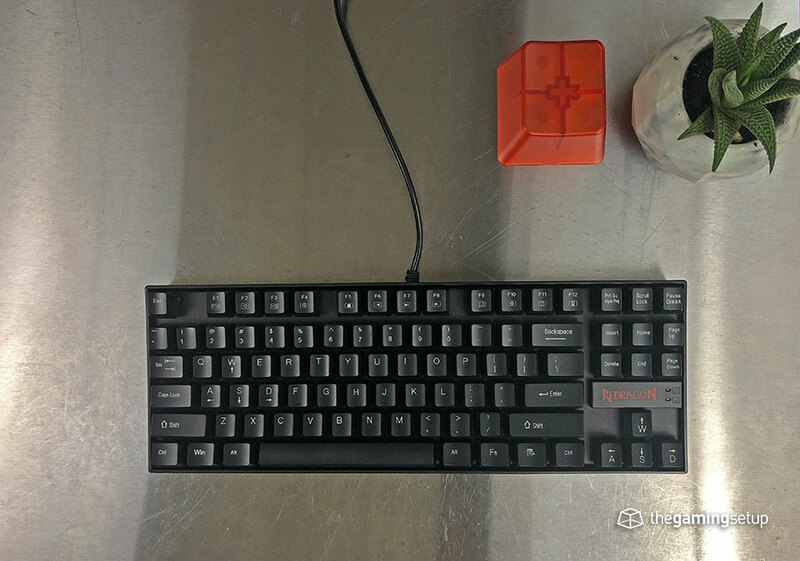 This is a buy for someone who’s looking to get into mechanical keyboards without a huge investment, you can rest assured you’re actually getting a true mechanical keyboarding experience with the Redragon for $30, it’s quite a deal. Shocking build quality for the price, the K552 is a huge steal as long as you don’t mind the design and how loud it gets with its blue switches. 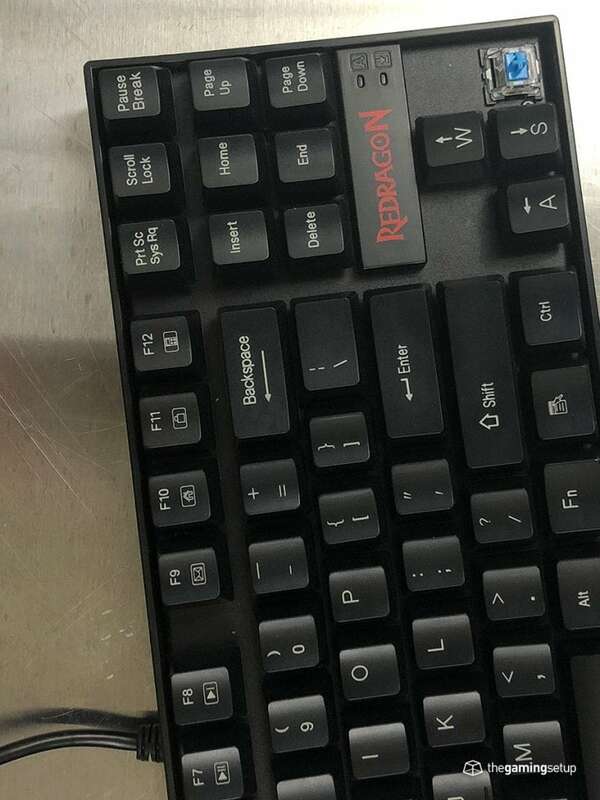 The Redragon K552 is a tenkeyless keyboard with a fairly minimal design theme, the borders surrounding the keyboard are small. The font on the keycaps on the backlit versions of the K552 have a much more gamer font choice. There are some design, let’s call them decisions, that are absolutely ghastly, but its something you have to live considering the Redragons value. There’s a pretty large Redragon logo right above the arrow cluster and the labels for the function keys is for some reason aligned to the right. Outside of those eccentricities, the Redragon is a pretty straightforward keyboard, the case is a little unique as well, the keys and switches are sunken in a high profile case, I’m not the biggest fan of this design. There are two status LEDs above the arrow cluster to indicate for caps and scroll lock, definitely a fan of this design choice to keep the overall foot print of the keyboard small. The cable is non-detachable so a little more annoying to travel with the Redragon K522. 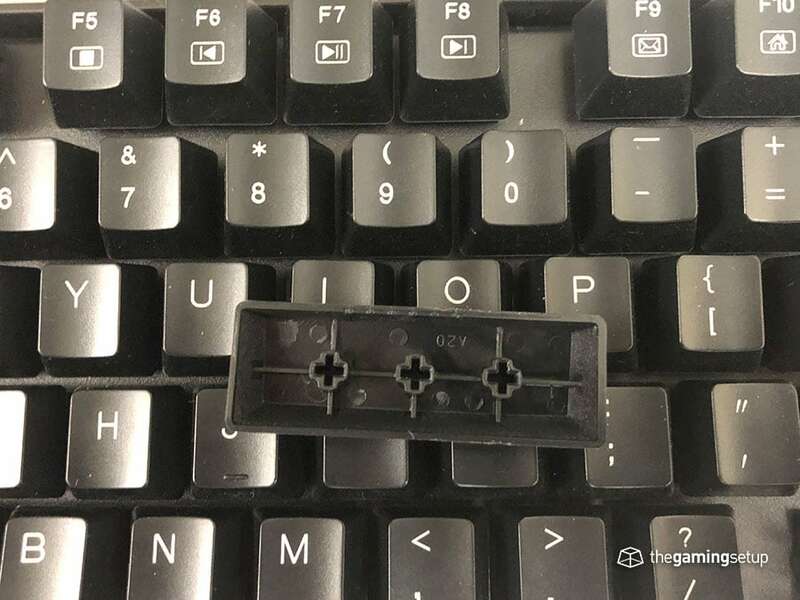 The feet on this keyboard leave a lot to be desired, with very thin strips of rubber at the base of this keyboard. Luckily the keyboard is heavy so sliding around isn’t a huge issue. The kickstand feet are built solidly, with a good grip on them, nothing unique about its design here. The build quality of the Redragon is surprisingly good for its price, really solid and heavy. The keyboard case is entirely plastic, no premium materials here but I don’t you should be expecting that at this price point. 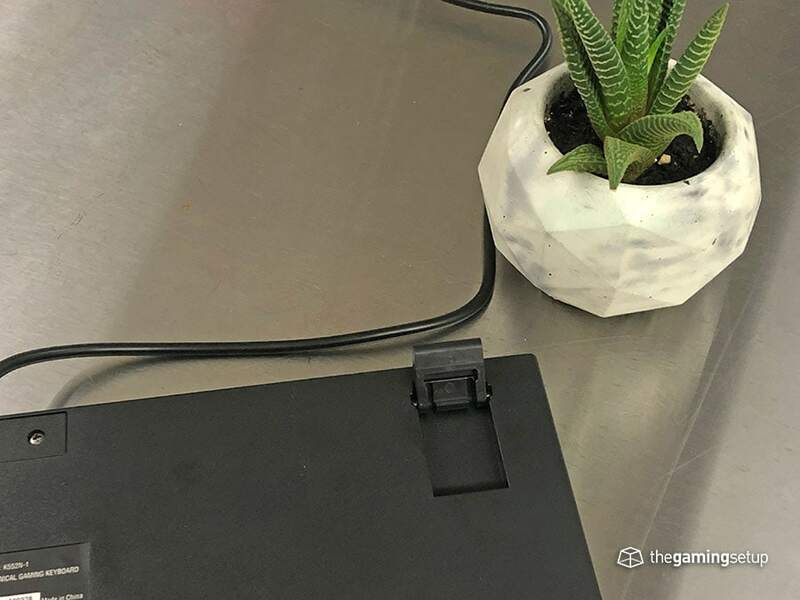 The case is made entirely of a matte black plastic and is plenty sturdy for regular or even ragey gaming use. The backplate is actually made of a brushed aluminum and is what I would suspect is contributing to the weight of the keyboard overall. Overall the keyboard is rigid, no weak spots, well-built keyboard that I would say surpasses several keyboards that cost 3 times more than the Redragon. No switch choices here, the Redragon K552 comes default with a cherry mx blue clone switch, Oetemu variant. The switch performs as you’d expect from a blue switch, tactile with an audible click. All blue switches typically have the same performance metrics, according to our big table of switches, blues have a bottom out travel of 4 mm and an actuation point of 2 mm. Bottom out force being around 60 grams. The Redragon switches fit this profile perfectly. I wouldn’t recommend blue switches as a first choice for gaming, but they’ll definitely do the trick in a pinch and the Redragon is definitely a serviceable gaming keyboard. As with all blue switches, the keyboard is loud, look for something else if you’re concerned about waking up people if you game while people are sleeping. Stabilizers are okay, a little squishy and nothing special, pretty standard implementation here. Key wobble is average and as stable or better than the Logitech G Pro Keyboard and GMMK. The Redragon’s keycaps are probably the weakest part of the keyboard and where the budget price really rears its head. The keycaps are made of ABS plastic with pad printed legends. 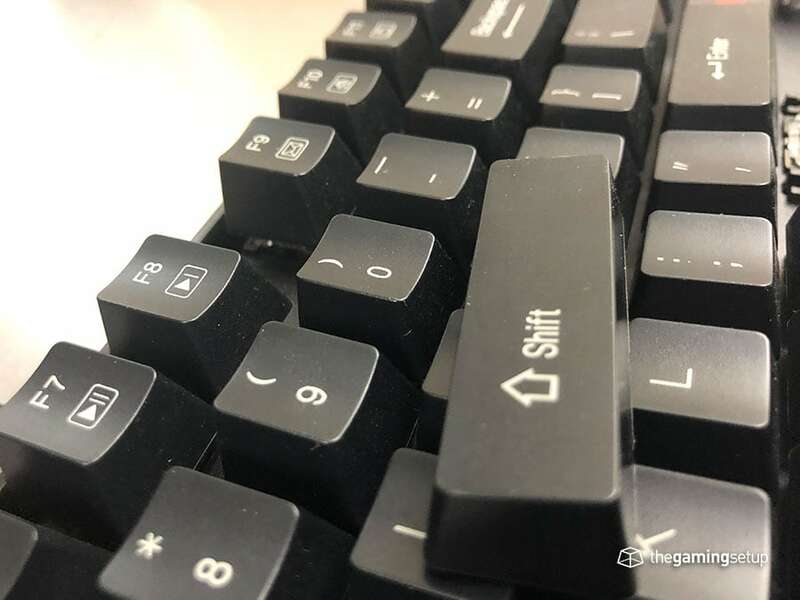 After some period of time of gaming the keycaps will start to shine and the legends will likely start to fade. This isn’t unique to the K552 as a lot of other brand name keyboards will suffer the same fate. 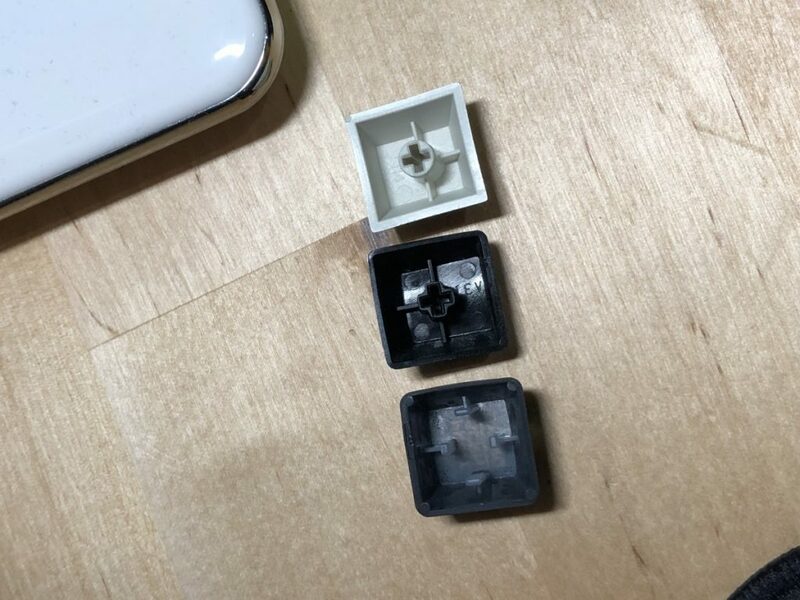 What’s a little more disappointing is how thin the plastic used for the keycaps used is. It’s definitely the thinnest I’ve come across, the keycaps have several weak spots and flex very easily to some pressure. The thin keycaps are definitely responsible for some of the harsher noises this keyboard generates. 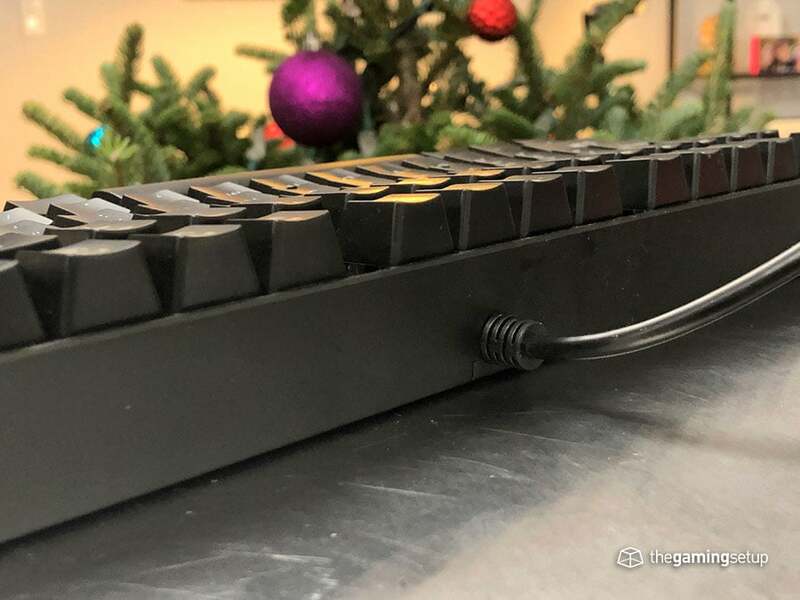 Fortunately, the Redragon features a standard bottom row so any set of after market key caps will work with the keyboard if you choose to upgrade them. The K552 is a lean keyboard feature wise. The Redragon site boasts that the keyboard is spill-resistant. According to another review, the water proofing actually works. I’m still debating whether or not to test this myself, but I’d recommend to treat this keyboard like any other, keep liquids away from it at all costs. There’s no accompanying software for the Redragon to program custom backlighting. 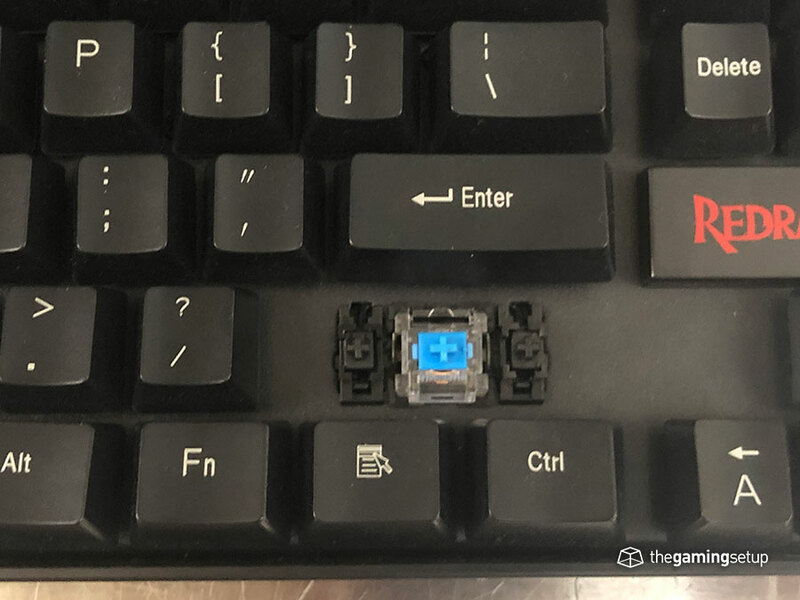 The windows key can also be disabled for gaming. All the standard keyboard features are here: anti-ghosting, NKRO blah blah. Redragon offers an 18-month warranty according to their manuals. I couldn’t find any reports of warranty claims and how easy or difficult they were to deal with. It seems like customers on Amazon are very happy with their build quality with an average of 4.4 stars out of 5. I’m not too surprised, the Redragon I have is very solidly built. At sub $40 for the red backlit version the Redragon is a very legitimate entry way into mechanical keyboards. The K552 lacks good design but more than makes up for it with very good build quality and performance for its price. Locking into a blue switch keyboard is not the ideal choice for a gaming focused purchase, but if you understand what you’re getting into with blue switches then I can’t see a reason why I wouldn’t recommend this keyboard a this price point.